Flowers Garden in The World. For the continent that have four seasons in a year, the arrival of spring may be anticipated for their fans because it usually flowers in season flowers will bloom. Overlay flower gardens that initially only looks like a field of the dominant green color will change color. Below Best Flowers Garden in The World. 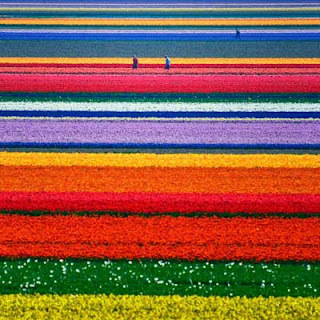 Trips to the Netherlands during the spring without seeing the tulips and daffodils is a mistake. During bloom, the tulips will be harvested and sent to the world. 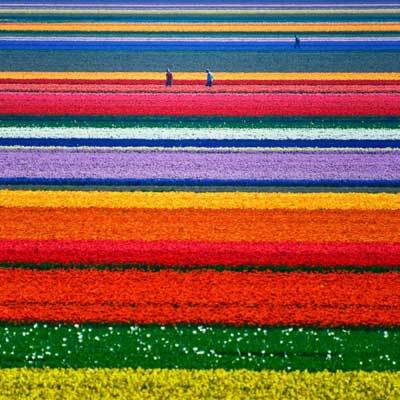 Flower planter in the Netherlands will be rainbow colored flowers blooming at the time. Usually this will occur during the months of April to September, you will definitely find a stretch of beautiful tulips that month Going to Alkmaar in the Dutch North where you will travel in addition to any interest you will be trying to tell the history of the city and the fields yield their cheese flavor. In addition, other destinations of interest is known as the city Keukenhoff largest plantation relationship. 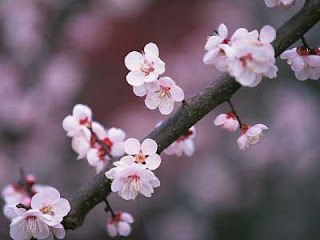 Japan is known for its cherry blossoms which bloom spreads in the city of Tokyo, Nagasaki, Kyoto and Osaka. Japan's rural areas to be beautiful when the flowers are blooming. It would be nice if traveled to Japan at the time of blooming flowers, you will be tempted to picnic near hamapran flowers with green grass as a base and a broad expanse of clear blue sky as the roof. This country has a beautiful landscape innumerable. If you want to get a flower garden landscape with colorful candy, go to the southern part of the island and awe you in New Zealand will increase. 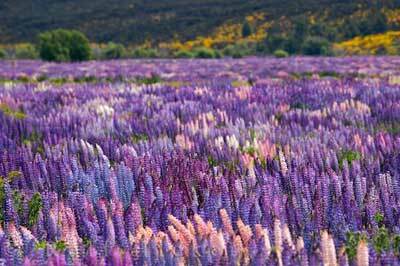 During the summer, try to visit Lake Tekapo flowers filled with beautiful flowers around it. 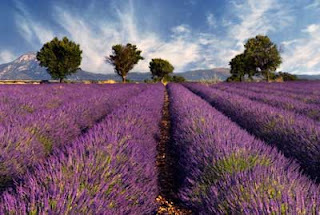 Tourists will flock to Provence in France every year to see the expanse of the gardens of lavender, poppies and sunflowers. Landscape view of life is like a version recorded by the artist, is very beautiful. In Provence, you will not only interest but also traveled on the city tour where you will be taken to the winery, landmark of the city and rural areas. Besides in Provence, you can traveled interest in the Luberon and Ventoux, to add your photo collection. Most areas of Denmark filled with forests, pastures and plantations. 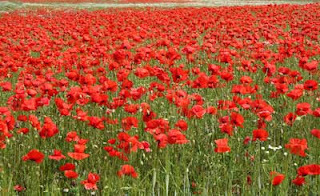 No wonder if Denmark including destination for flower lovers. In the spring, you will see the old palace background flower beds. 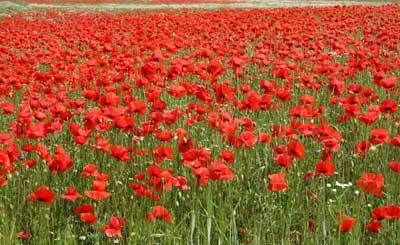 Interest will you have encountered in the spring in Denmark, among others, poppies, daisies and red clover. If you are a fan of orchids, you should take the visit to the city of Gentofte.